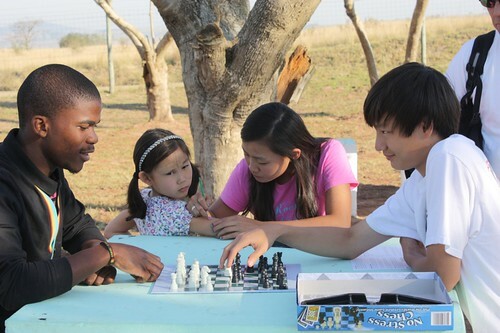 Stephen has been coaching some children in CT chess this year. He played competitive chess for years- he was ranked top 20 in the UK when we lived in London. I stopped playing with him once he could beat me blind (he'd play blindfolded, I would call out my moves and he memorized the board). I have been impressed with his patience and success engaging players of all skill levels. He is a wonderful teacher- for chess as well as when he has been helping his youngest sister with schoolwork. This year has afforded us an opportunity to recognize our natural abilities.